Obtaining your fingerprints and commencing your background check early (soon after enrollment) will ensure your ability to activate your license in the quickest method possible. There are two approved methods to obtain the required fingerprints and start the Nevada Real Estate Division required background check. NOTE: The required background has a validation period of 90 calendar days. The Nevada Real Estate Division may require the background check to be completed again if the licensing application is not submitted within 90 days of the background check. Mail the Fingerprints, fees and Division form to: Nevada Real Estate Division, 3300 West Sahara #350 Las Vegas NV 89102. NOTE: Students outside of Clark County Nevada should complete two fingerprint cards at a sanctioned fingerprint center such as a police station. 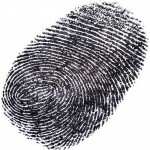 When the applicant is electronically submitting the fingerprints, the vendor they choose will collect the fee of $40 and submit the fingerprints with the fee to the Nevada Real Estate Division. The electronic option must be completed in Nevada. Persons electing to complete the fingerprint process outside of Nevada should see the Hard Copy section of this page. Use this link to view all approved electronic fingerprint centers in Nevada: Approved Fingerprint Centers. Located on the Southeast corner of Maryland Parkway and Sahara in the Sahara Towne Square/Smith’s Shopping Center.